We can never separate God from His word. When we hear Him speak we encounter not just words, but God Himself; His words are always accompanied by His personal presence. When we read the Bible we can not only be sure that God is speaking as we read, but that we are in a sense coming face to face with the Living God. We cannot reject what God says and think that we can somehow retain God apart from His word. If God were to stop speaking both this universe would cease to exist, and God would cease to be God. God speaks in order to bring about relationship. Exodus 20:1-17 is an outline of the Ten Commandments, a summary of God’s moral code given to ancient Israel. 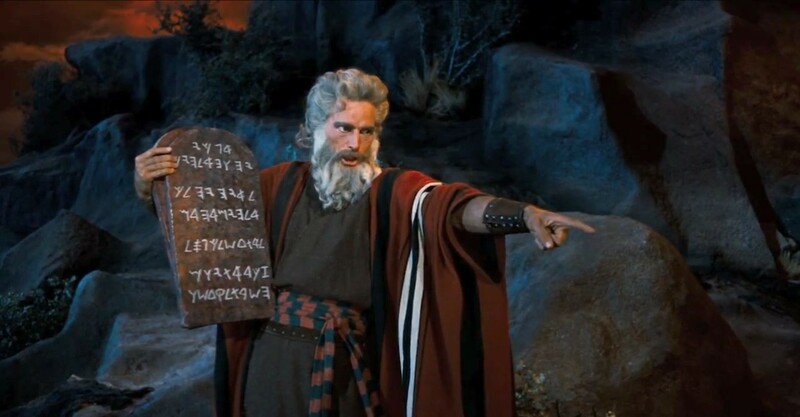 Before we read it as a list of rules to follow, we need to read the introduction in vss 1&2: ‘And God spoke all these words, saying, “I am the LORD your God, who brought you out of the land of Egypt, out of the house of slavery.’ When people say ‘I keep the 10 commandments – by which they mean the last 6 of the 10 – it is meaningless unless they do so in the context of a relationship with God – ie. The first 4, and that they understand the God to whom they relate as the One who has redeemed them from slavery (ie. to sin and death). If you want to know God, you need to be prepared to listen as He speaks, because He is The God Who Speaks. How do you approach the Bible? Is it just another document, with interesting information and rules to follow? Do you actually expect to have an encounter with the Living God when you open it and read? Do you think that God is somehow absent when you don’t have a warm fuzzy when reading?